Course description: It seems everywhere you look in Sydney there is a café or a venue serving coffee. Behind every coffee machine there is a trained and experienced barista. Our Basic Barista course helps you begin your journey to a successful career in coffee; or perhaps you just want to make a better coffee on your machine at home. 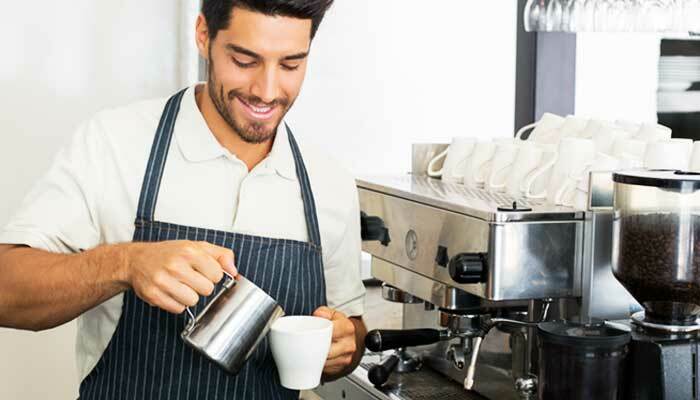 Either way, our friendly and experienced training facilitator will help you learn your way around a manual Espresso Coffee Machine. Completing this hands on face to face training course will make you more employable as your future employers will know that you have already had this training and therefore they won’t need to provide it. Start making coffee within the first hour!